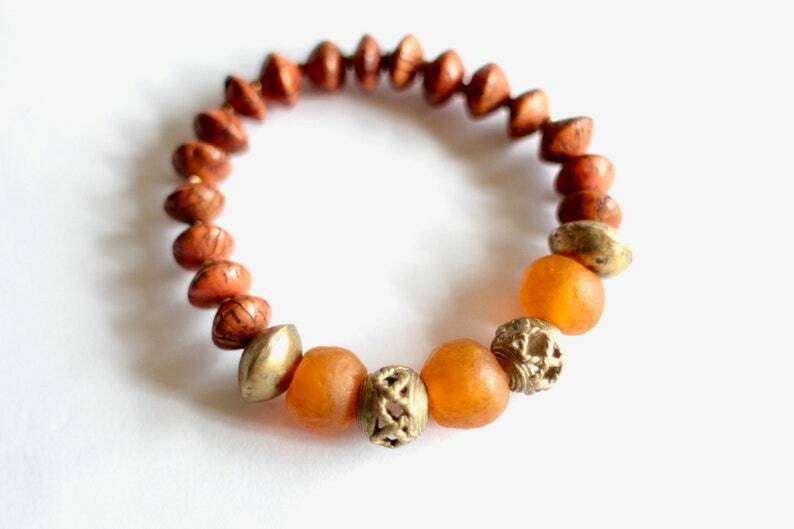 This bracelet is composed of orange Ghanaian recycle glass beads, separated by gorgeous round African brass beads and Malian bicone beads. 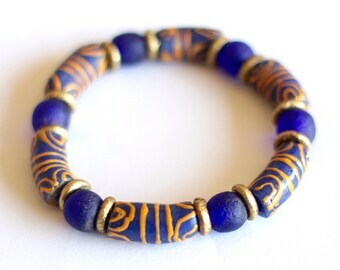 They have been made with the lost wax casting method. 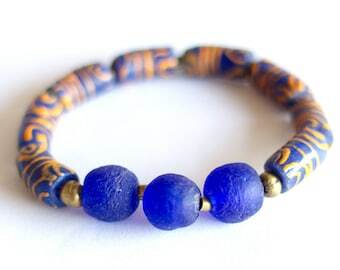 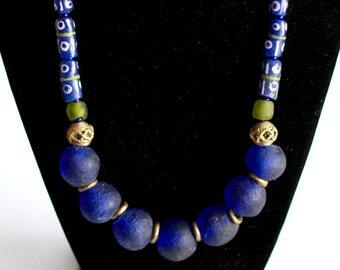 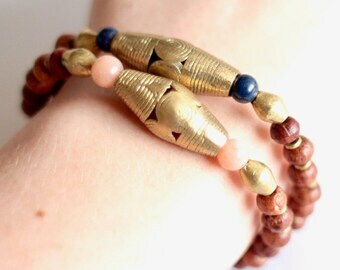 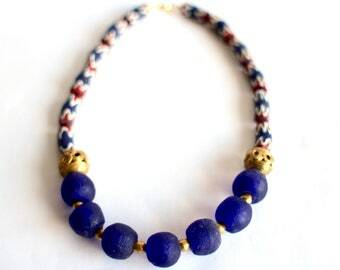 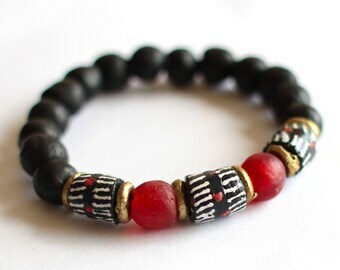 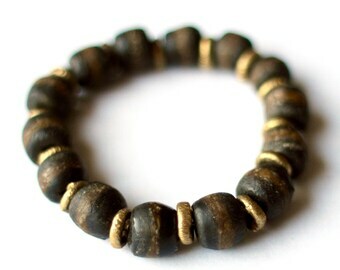 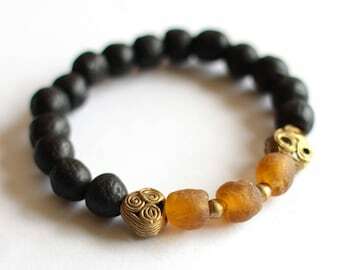 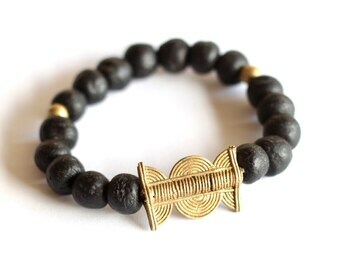 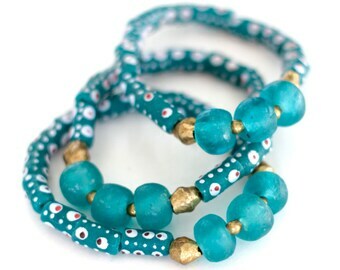 The bracelet also carries Indonesian Betel nut beads, and small gold Ethiopian spacers. 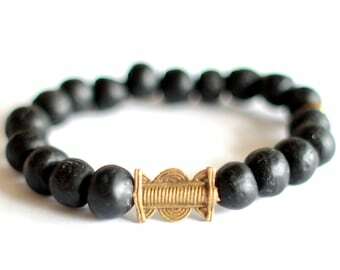 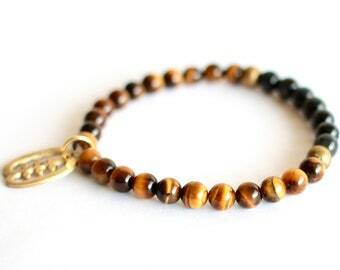 This bracelet is a stretch bracelet and fits most wrists.